The energy transport lab lets students design an electricity network that supplies electric power to towns. 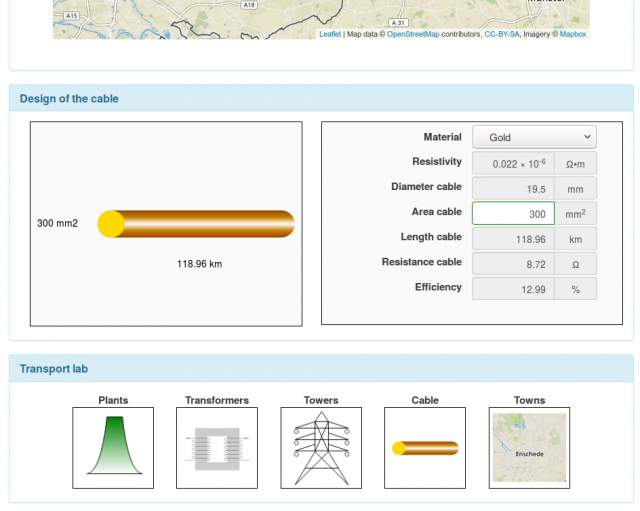 Activities in the lab are selecting locations for the power plants on a map, designing the cables, transmission towers and the transformers. Students can optimize the network on efficiency (very little power loss) or cost. 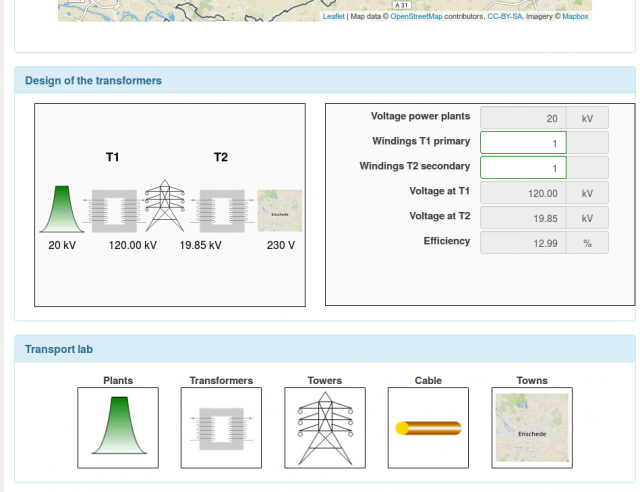 The learning goals are to obtain a basic understanding of the electricity laws. 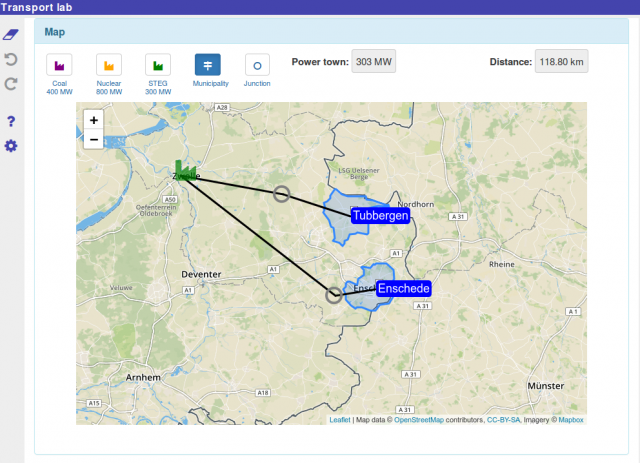 The area on the map is currently restricted to Enschede and its surroundings because the energy transport lab needs information such as city borders and population.